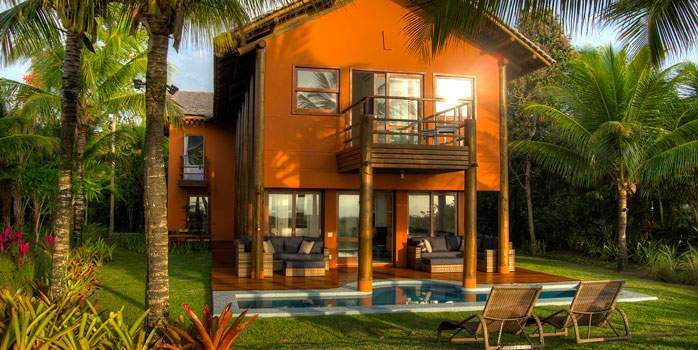 tropical jungle. The temperature was still 28 degrees. 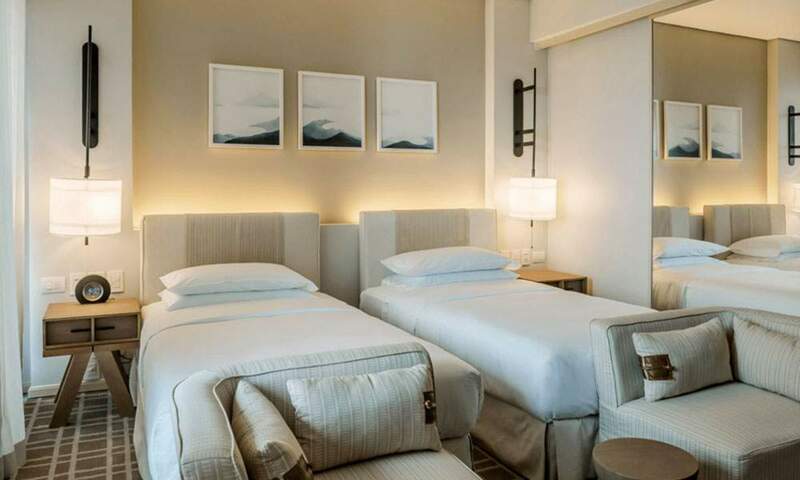 benchmark of luxury and comfort in this “Marvellous City”. 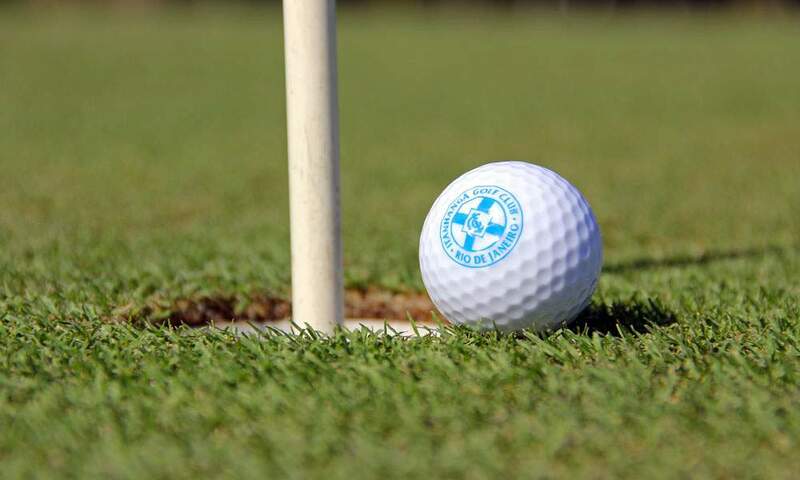 golf clubs and dates back to 1921. 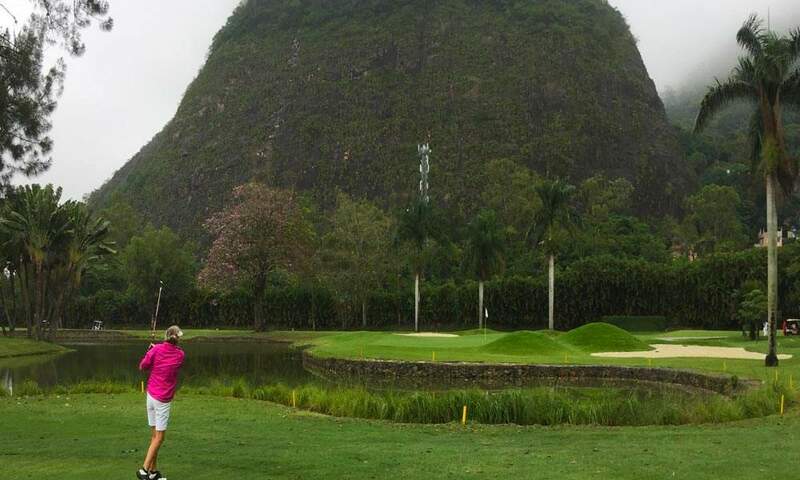 This golf course was epic. award-winning wine list to choose from. 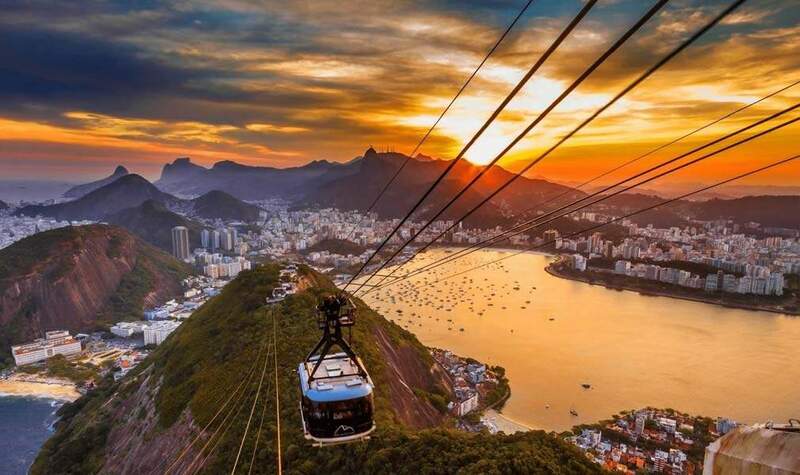 took the iconic cable cars all the way to the top and the views were to die for. 1145 tons of him is visible from nearly every part of the city. 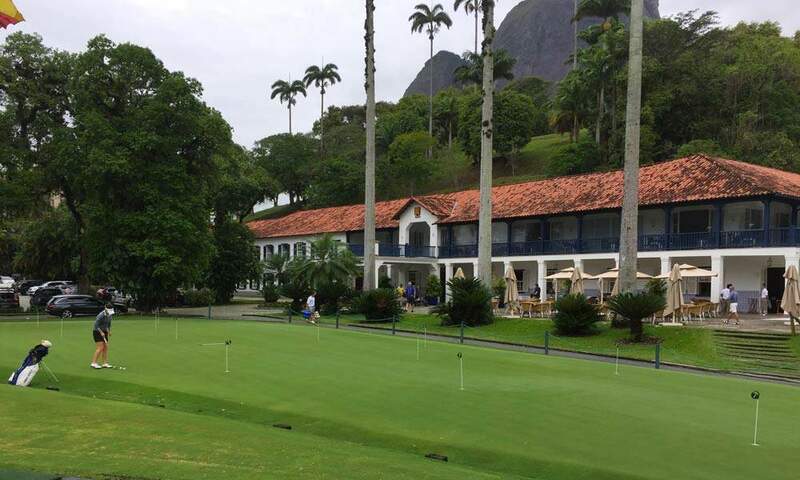 and then visited the world famous Copacabana Palace which was stunning as was the surrounding location. 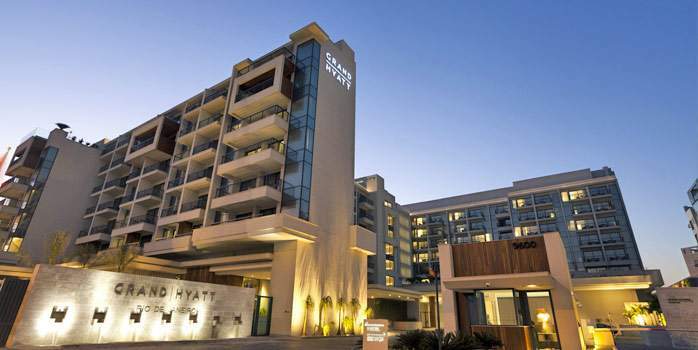 the Grand Hyatt in the Barra region where the Olympic Course was situated. 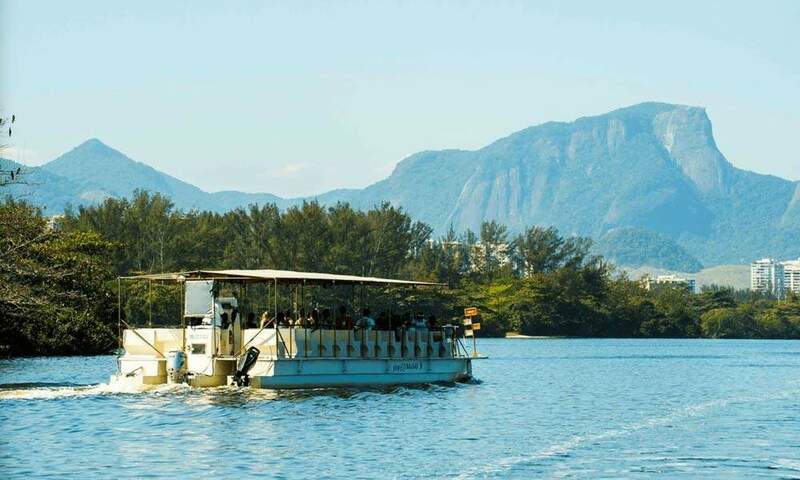 which via boat from the hotel you could access the Olympic Course. course, including capybaras, caimans and some burrowing owls. than 40 hot dishes and all sorts salads, fruit and desserts. great experience and with some lovely scenery. 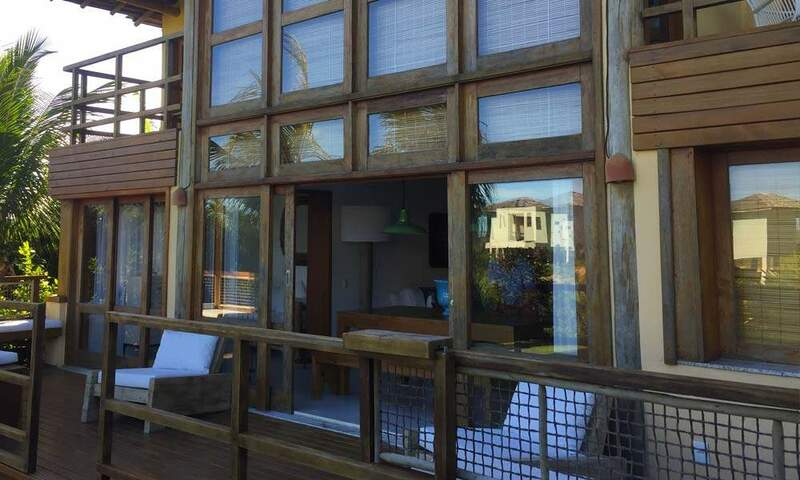 We then made our way to Terravista Vilas and arrived there for our check in to our Vilas. Each Vila consisted of four suits and each suit with its own on-suite. 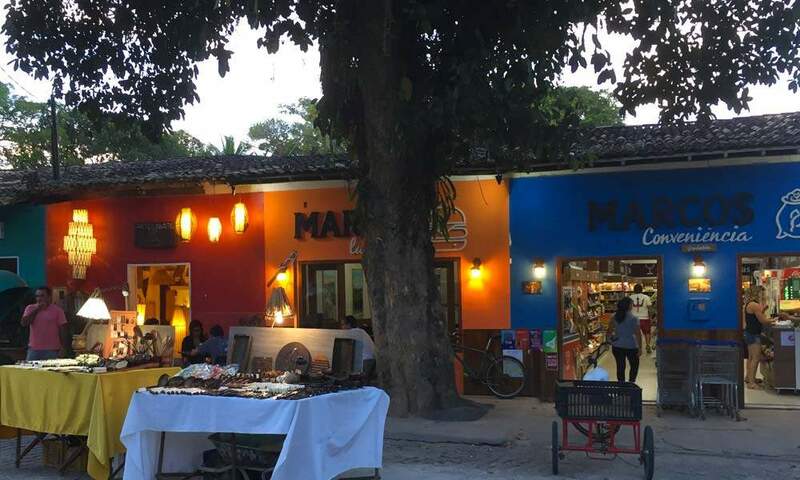 many boutique shops and fine restaurants can be found. We went there for a late afternoon / early evening visit and it was just so ambient and enjoyable at this time. 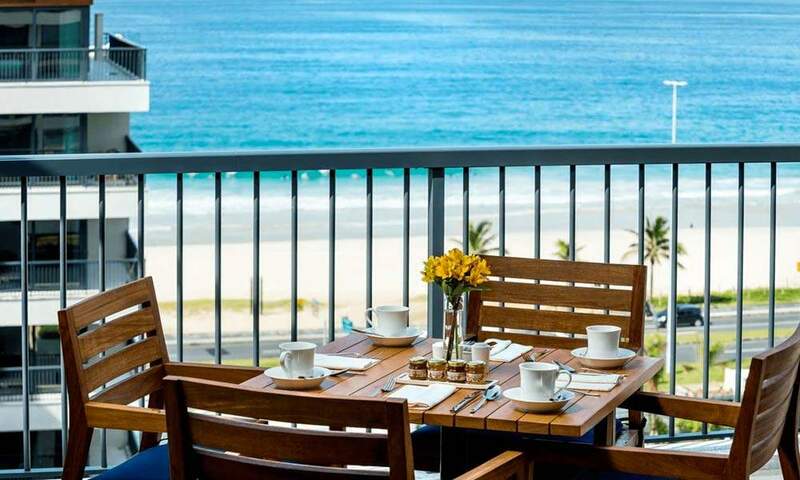 having access to a few fashionable venues for dining and shopping. the sight of candlelit Quadrado (the main square) at night was magical. 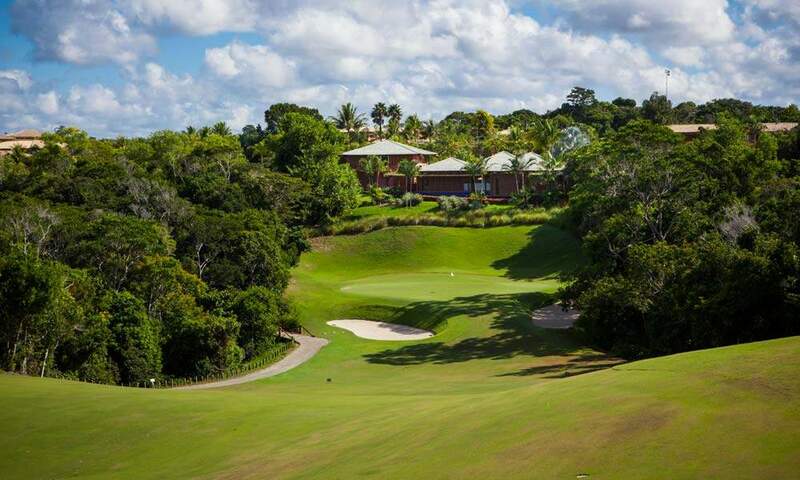 Breakfast in the Vila is followed by a round of golf on Terravista Golf Course. 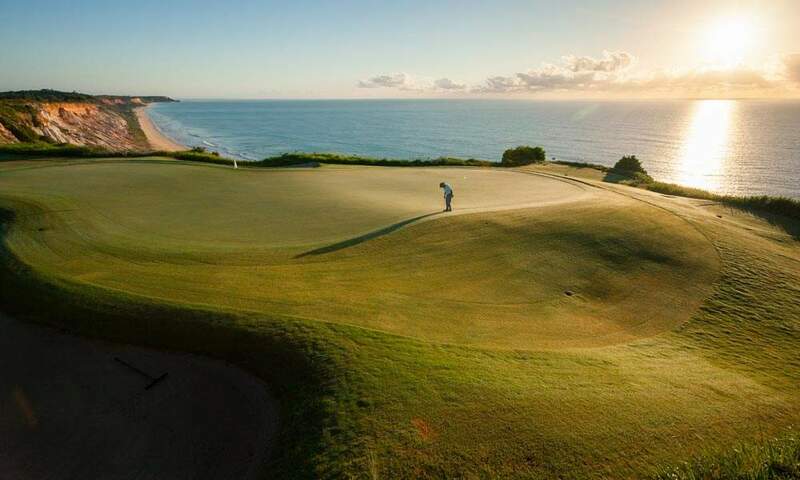 Designed by American architect Dan Blenkinsop, the course opened in 2004.
giant sea turtles can be observed swimming in the ocean. 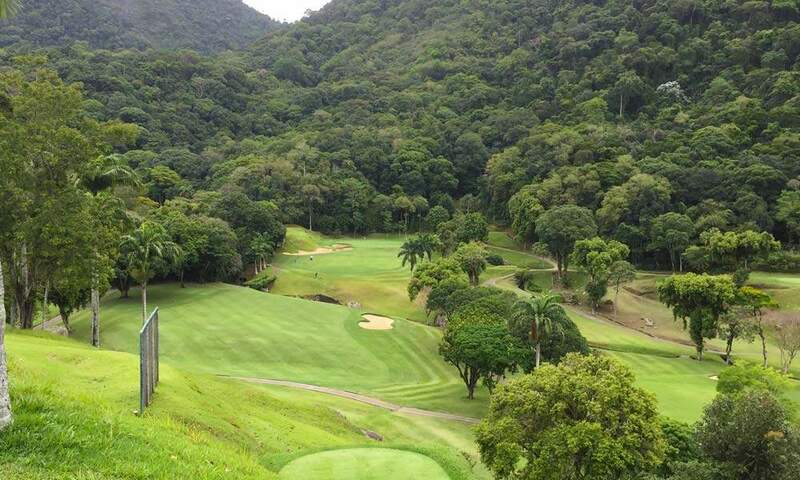 forward to showcase the courses, hotels and unbelievable scenery. Thank you for sending me and allowing me the opportunity to see it all. 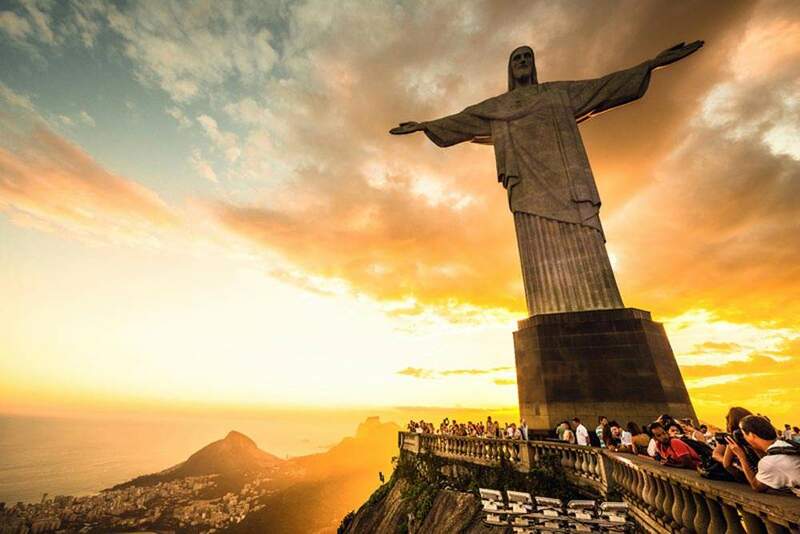 After Jacques first tour to Brazil, he simply had to put on another! 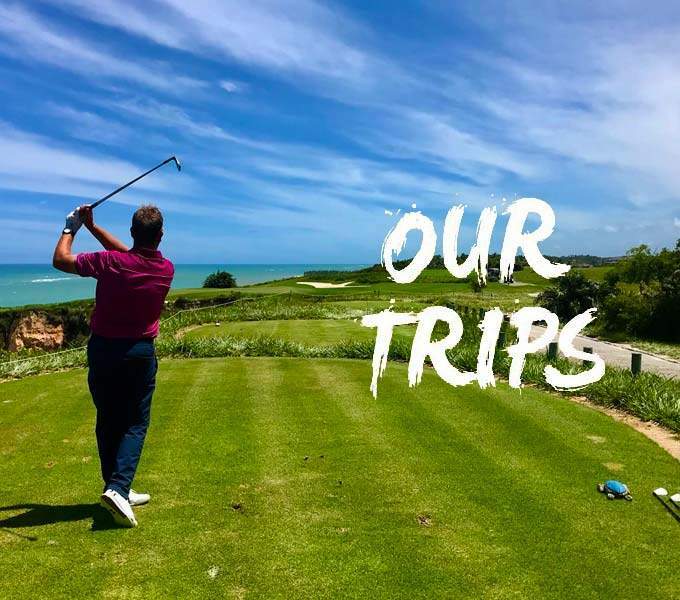 You can find out more about this years trip by clicking here. Browse Jacques other upcoming escorted tours by clicking here. 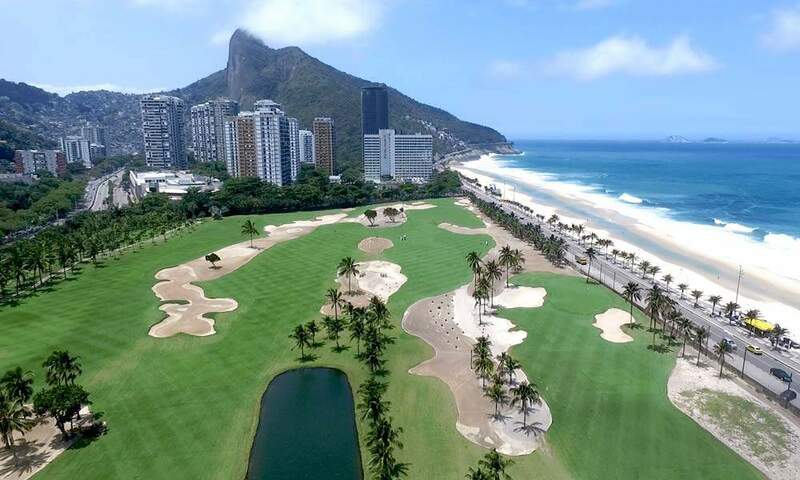 Discover the excellent carioca hospitality at Grand Hyatt Rio de Janeiro, an ideal base for the Rio de Janeiro section of your golf holiday in Brazil. 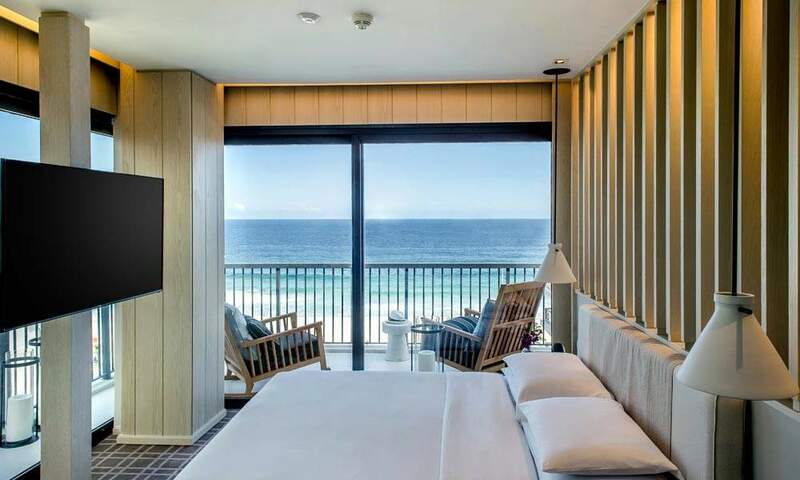 Relax in elegantly designed guestrooms and suites with stunning views of the Atlantic Ocean and Marapendi Lagoon. 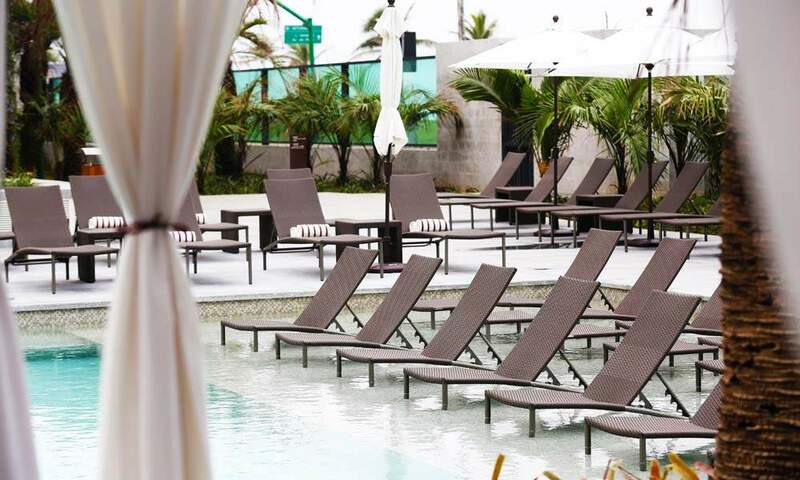 Let yourself be pampered in the hotel world-class Spa or work out in the 24-hour Fitness Centre. 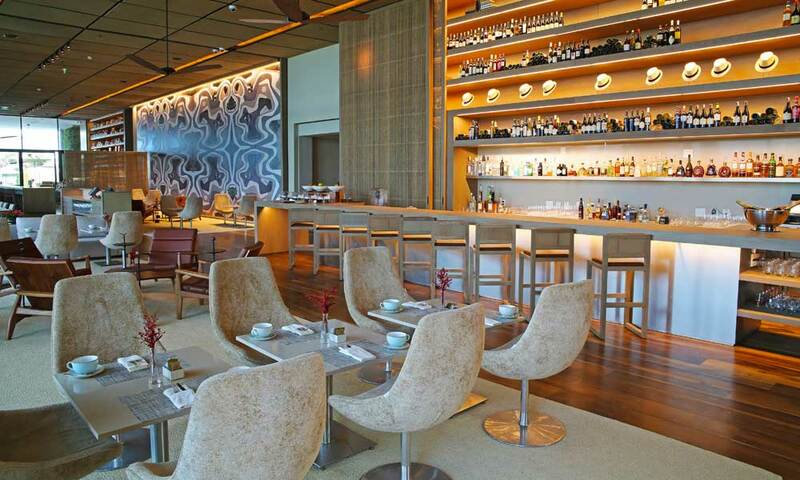 Please your palate with Hyatt’s inventive cuisine by choosing one of our three delicious hotel restaurants. 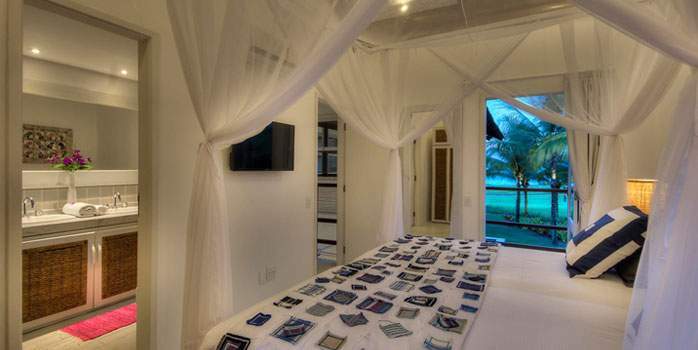 Imagine a relaxing walk on the white beach at sunset, explore the romantic Marapendi’s Lagoon, and feel in paradise. 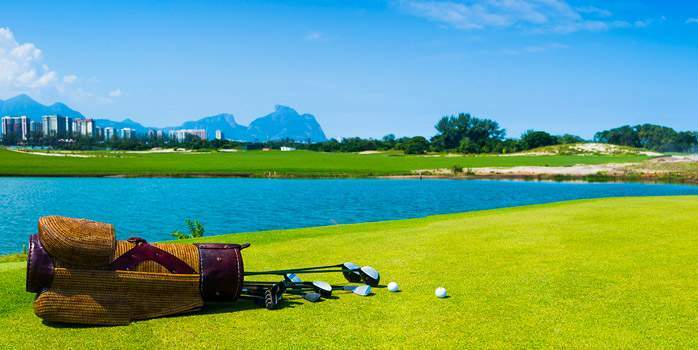 Grand Hyatt Rio de Janeiro is the perfect place to start your golf holiday in Brazil. 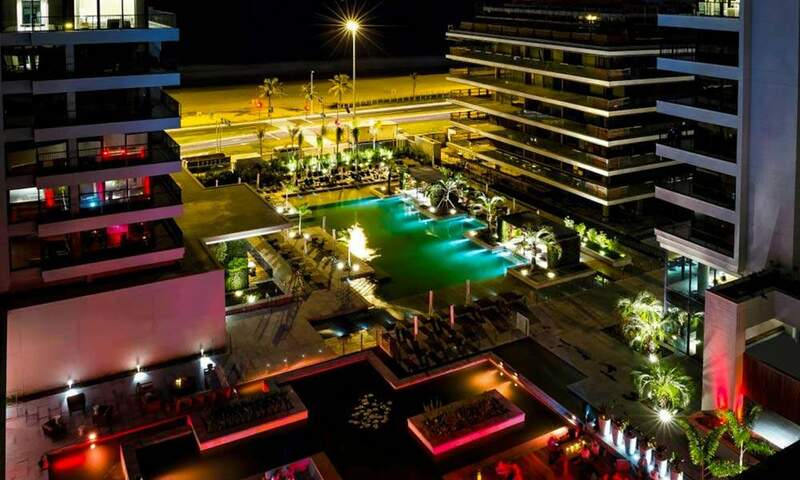 At night, delight yourself in one of the hotel restaurants and get ready to experience the Brazilian nightlife at Barra da Tijuca Bars district. 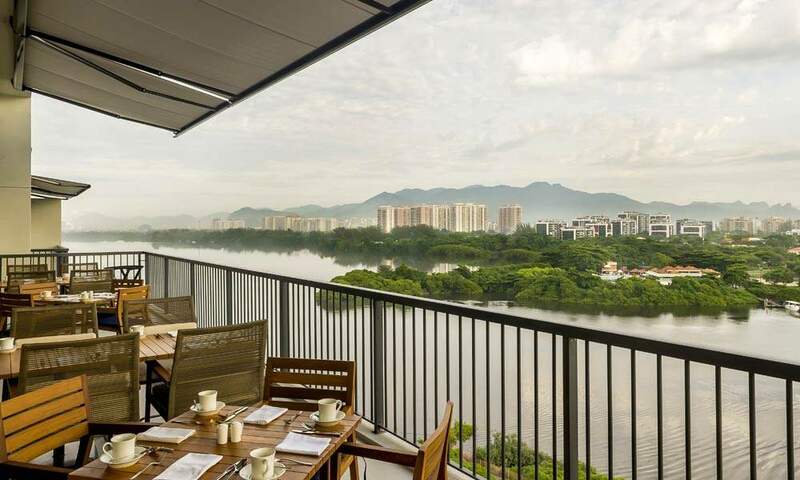 Large Malls and sophisticated shopping centres also stand nearby. 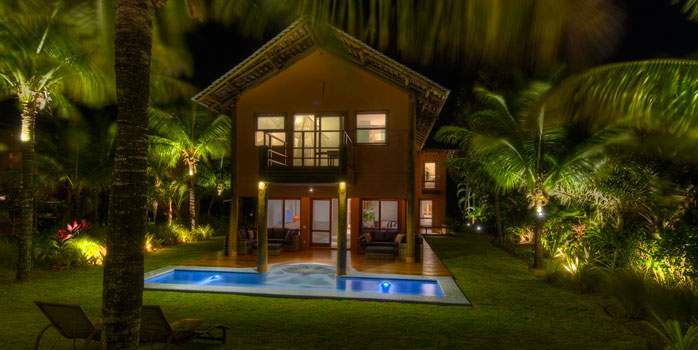 Terravista Vilas Trancoso is situated atop an imposing cliff that overlooks the stunning beaches of Rio Da Barra and Taipe and is just 10 minutes by car from the Quadrado (Trancoso's Main Square). 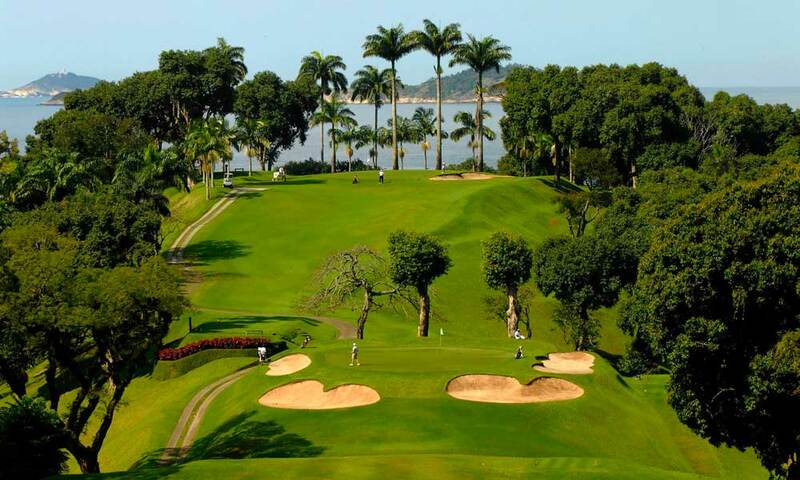 Home to incredible villas and one of the best golf courses in South America. 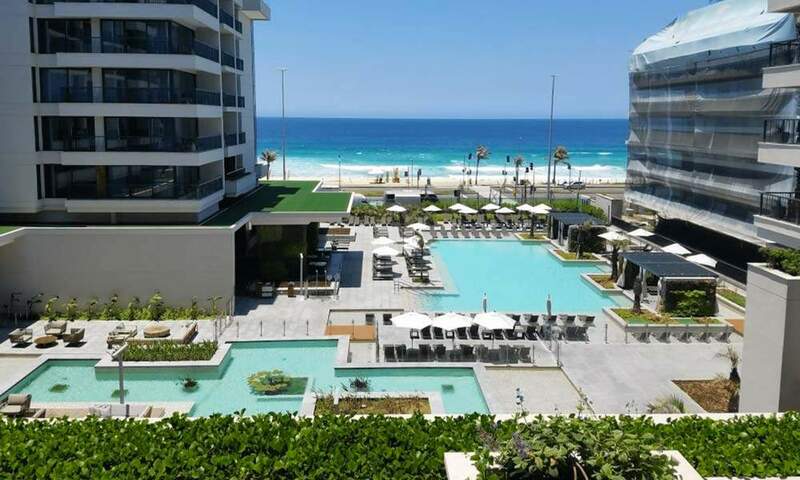 Guests at Terravista Vilas can enjoy the condominium’s exclusive beach (when taking a break from the golf course), which was recently given the name of Praia das Tartarugas(Turtle Beach), in honor of the turtles that usually show up at this point. 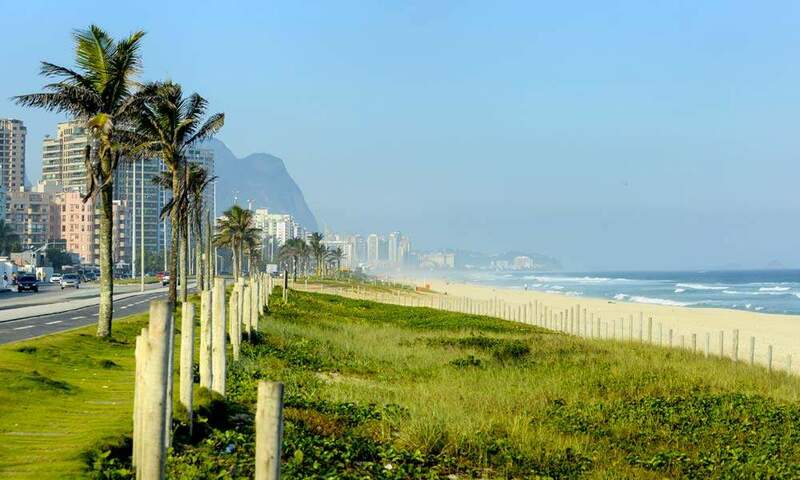 This peaceful stretch between the beaches of Rio da Barra and Taípe has beach service, lounge chairs and sun umbrellas guaranteed for Terravista guests. 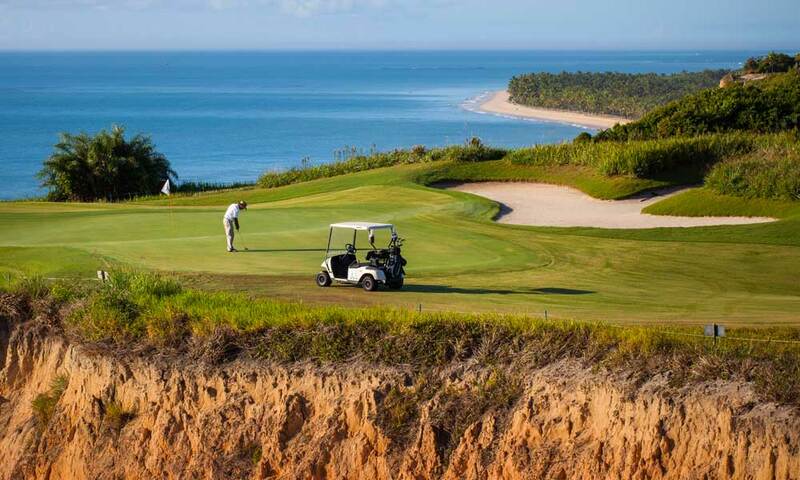 Golf carts take guests to the beach in a five-minute drive. 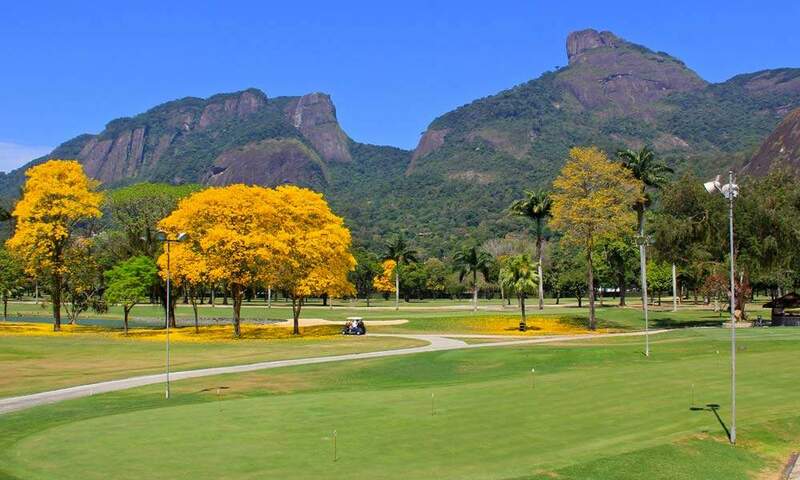 Itanhangá Golf Club is founded in the 30’s and is the only club with 27 holes in Rio de Janeiro State. 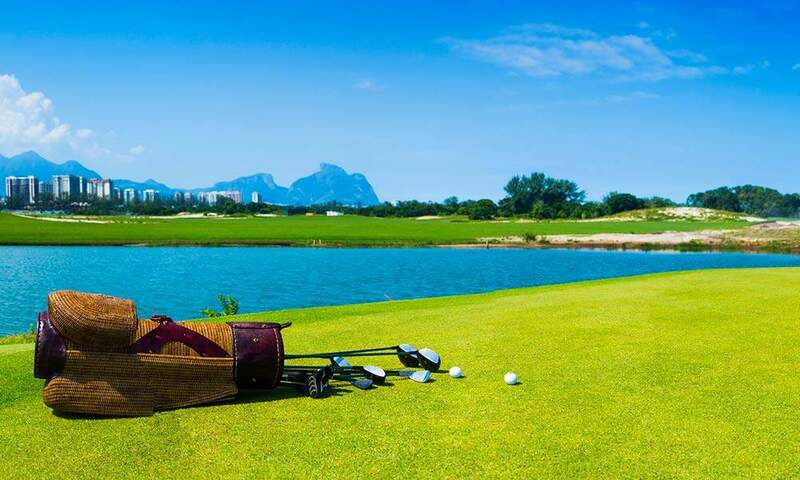 The club always played an important role for golf in Brazil, as it hosted some of the major golf competitions, including the Brazil Open and the LPGA Tour & now it will host you on your golf holiday in Brazil. 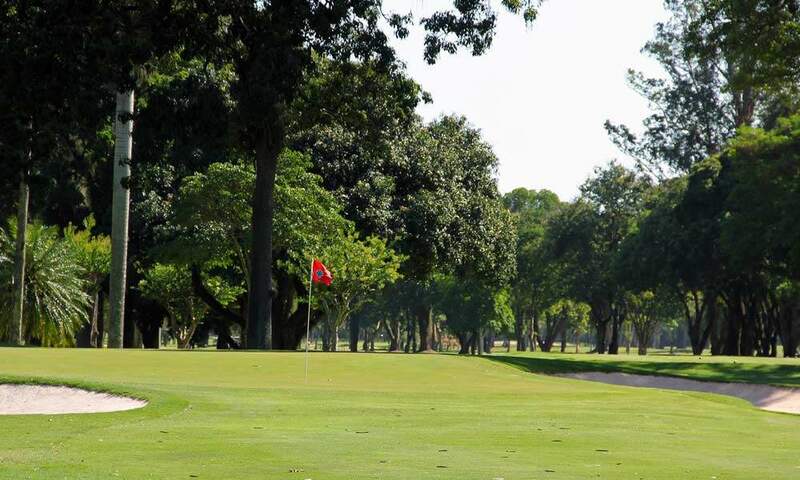 Itanhangá is also famous for its Golf school, which is active in promoting junior golf. 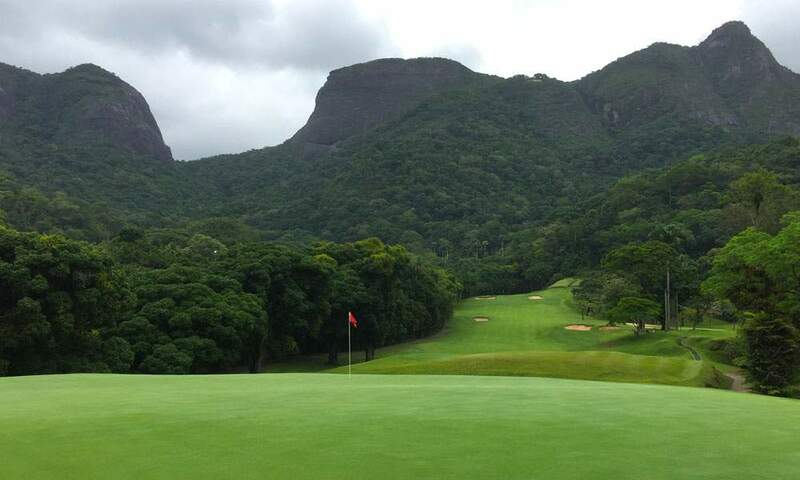 Gávea Golf & Country Club in the south of Rio de Janeiro City is widely regarded as one of Brazil’s most prestigious golf clubs and dates back to 1921, where the course layout was designed by Arthur Morgan Davidson. 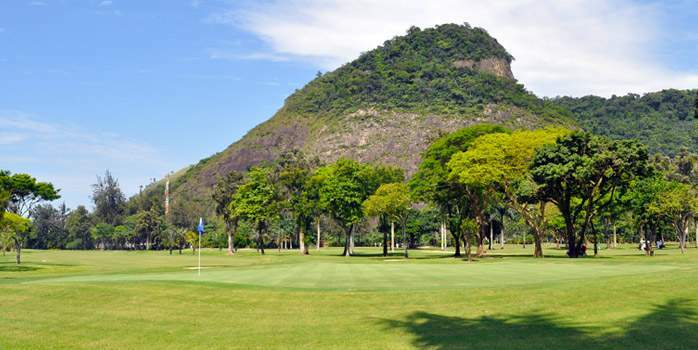 The course is located between Pedra da Gávea – an enormous rocky outcrop that looms over the course, Tijuca Forest and São Conrado beach. 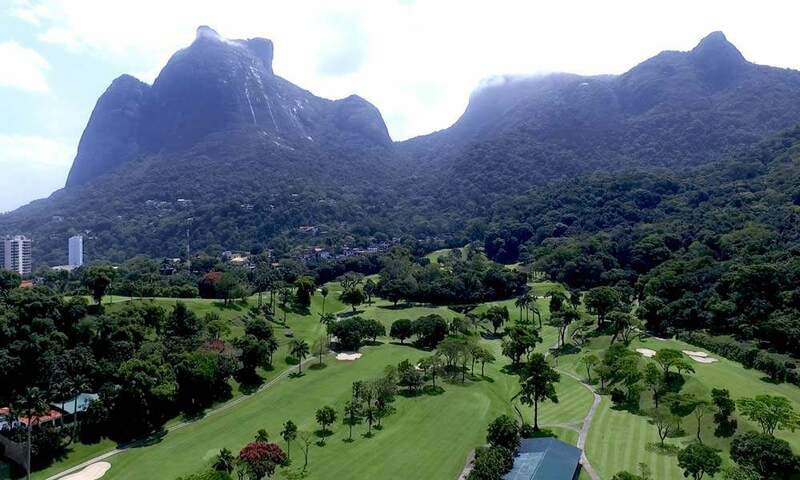 The beauty of Rio de Janeiro, with its hills, sea and amazing vegetation makes Gávea Golf & Country Club a truly unique course & a dream to play on your Brazil golf holiday, it gives you the feeling of playing in a magical tropical valley. 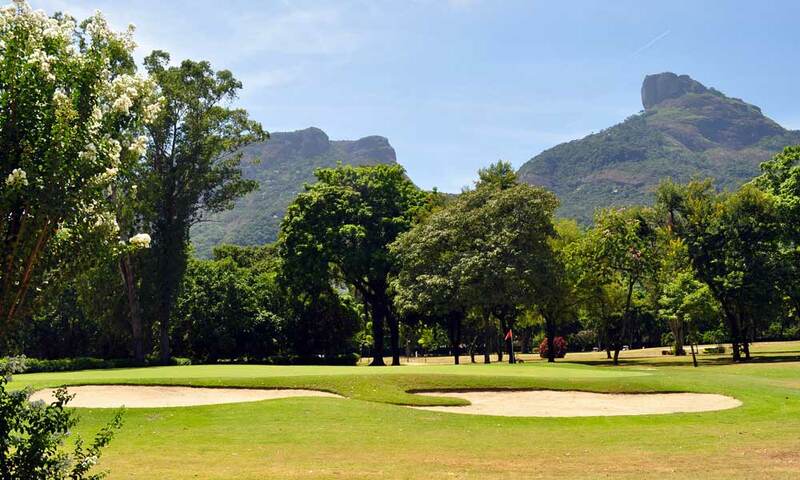 You need to be in shape to face its hilly fairways – particularly the ones on the front nine. 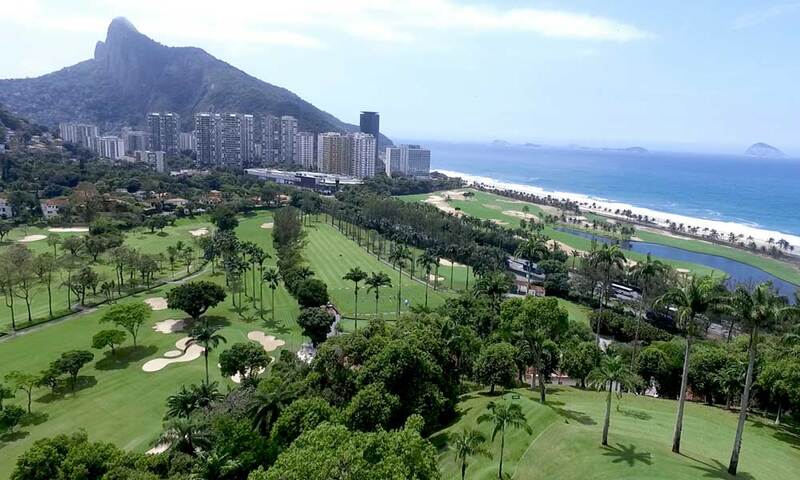 However, the reward is worthwhile: an unforgettable view over the course and the sea. 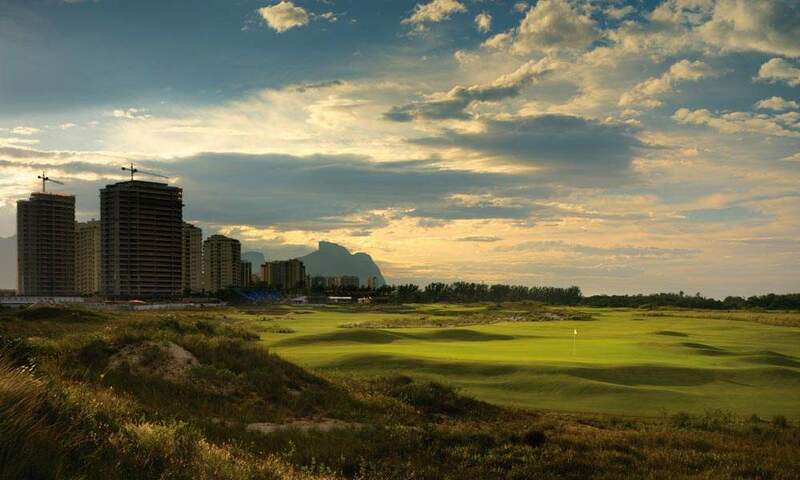 The Olympic Golf Course is a new venue that was built for the men’s and women’s individual golf events of the 2016 Summer Games, where golf returned for the first time as an Olympic sport after 112 years. 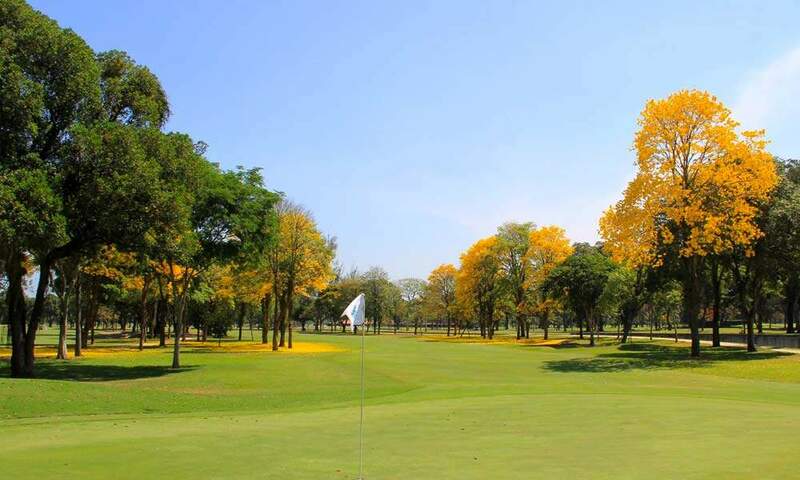 Hanse Golf Course Design was chosen from eight contenders to build the course. 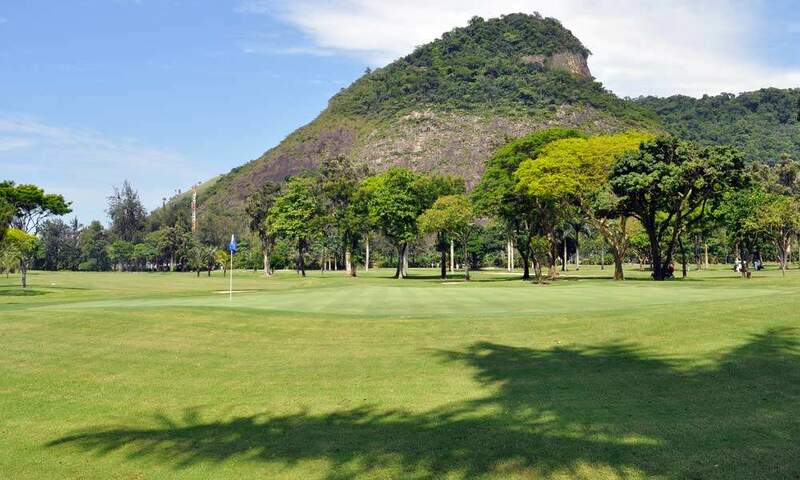 The new golf facility is located at Reserva de Marapendi in Barra da Tijuca – Rio de Janeiro. 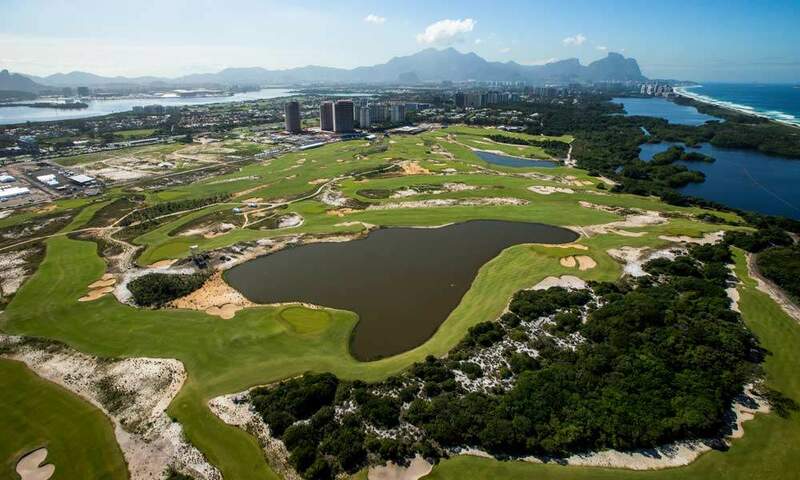 As Rio 2016 marked the return of golf to the Olympic Games after over a century of absence, this course represents the beginning of a new chapter in the history of the sport. 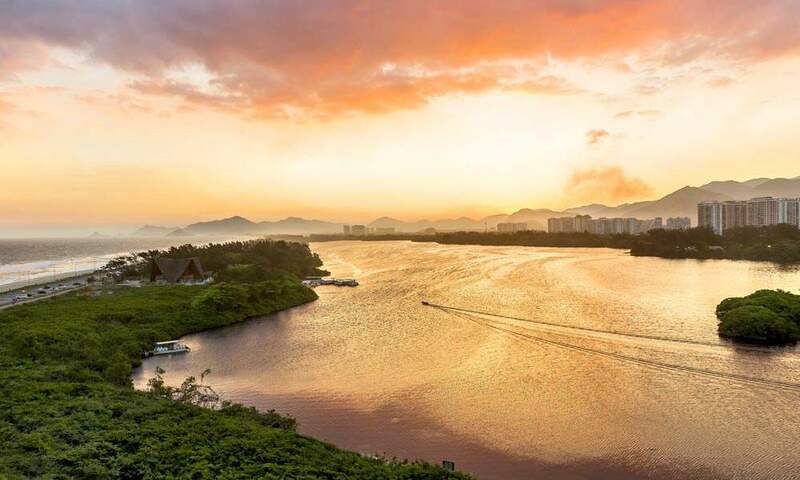 It will enable Rio to host important events in the international calendar and it would be an example of sustainability and preservation of an environmentally protected area. 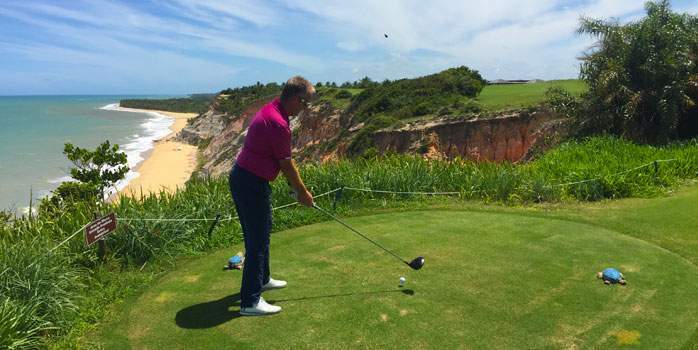 This Olympic Golf Course is an excellent facility for the practice and development of golf and will inspire millions of youth across Brazil and the globe. 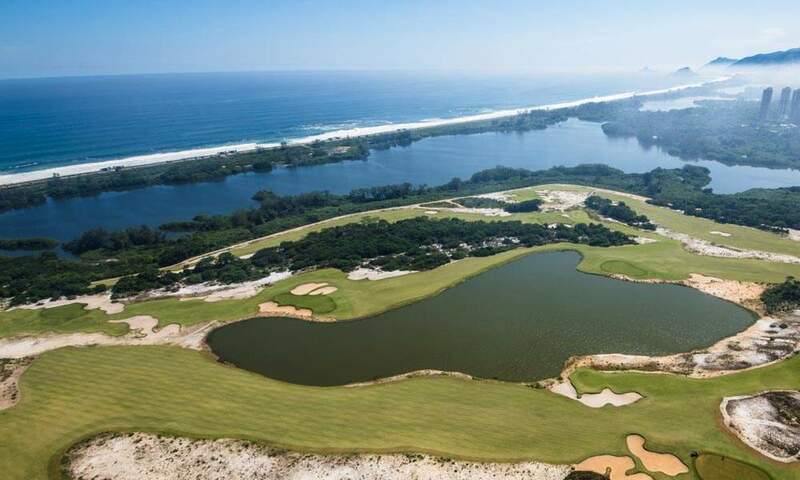 The Olympic 18-hole course has a links-style feel, most comparable to the Australian sand-belt courses and is naturally integrated with the native vegetation. 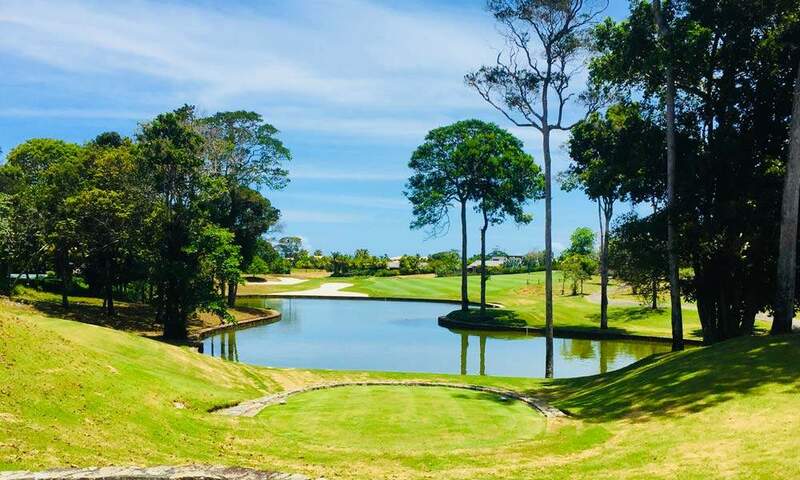 There is plenty of wildlife present at the course, including capybaras (large rodent), caimans (small crocodile) and corujas (burrowing owls). 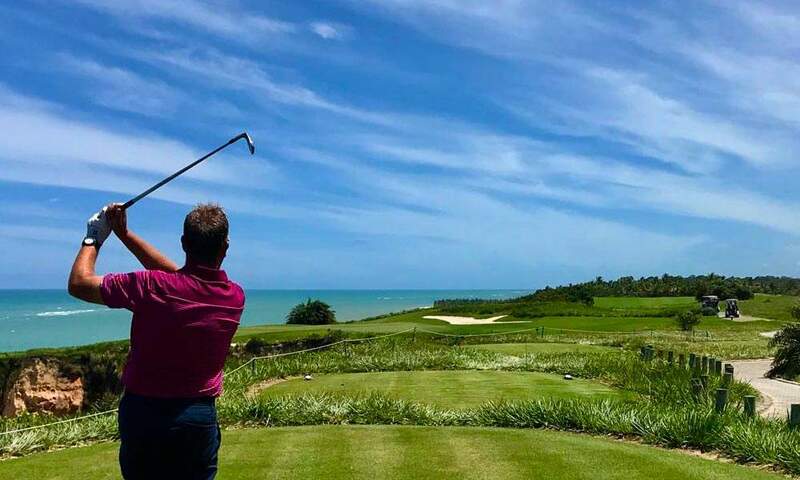 The experience of playing this already legendary course, on your golf holiday in Brazil, will linger in your memory forever! 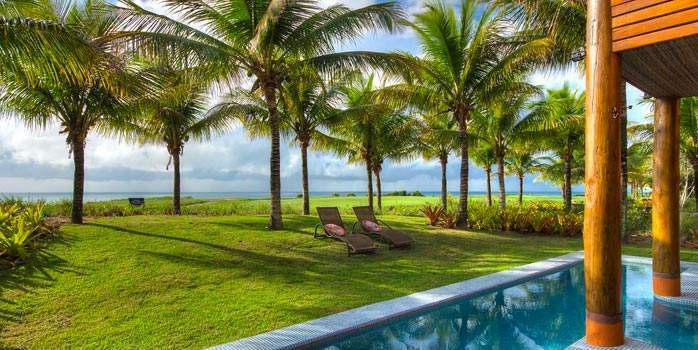 The small village of Trancoso was discovered in the 70s. 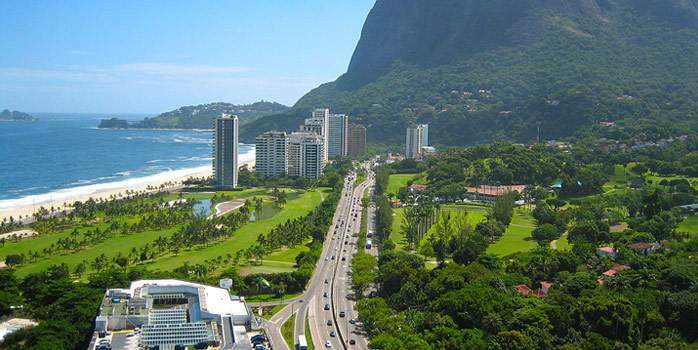 After the 90s, it became famous as a stronghold for business people, artists, celebrities and members of the Brazilian jet set. 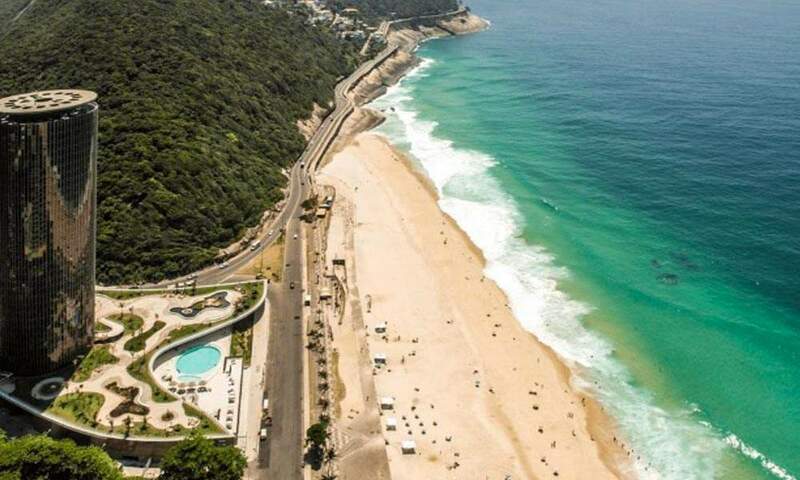 It was at this exact location, where the Portuguese sailors first saw the Brazilian coastline over 500 years ago. 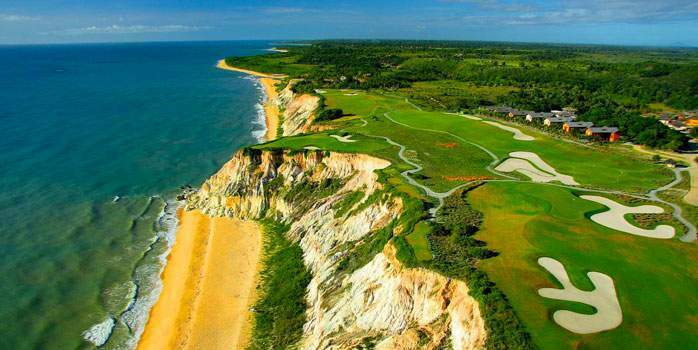 A mix of deserted beaches, pristine nature, and magnificent views. 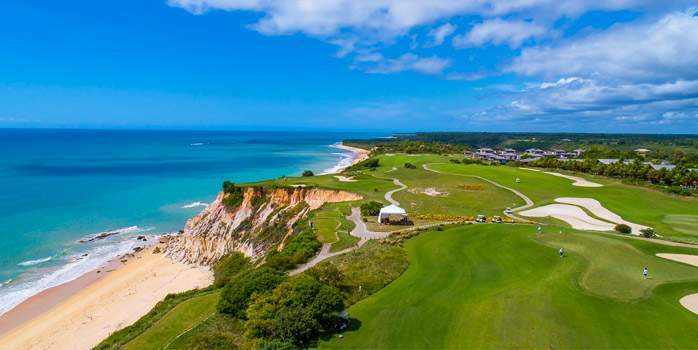 Nowadays, Trancoso is being discovered by golfers from all over the world, thanks to Terravista Golf Course, one of the most famous Brazilian courses & a must play course if you are on a golf holiday in Brazil. 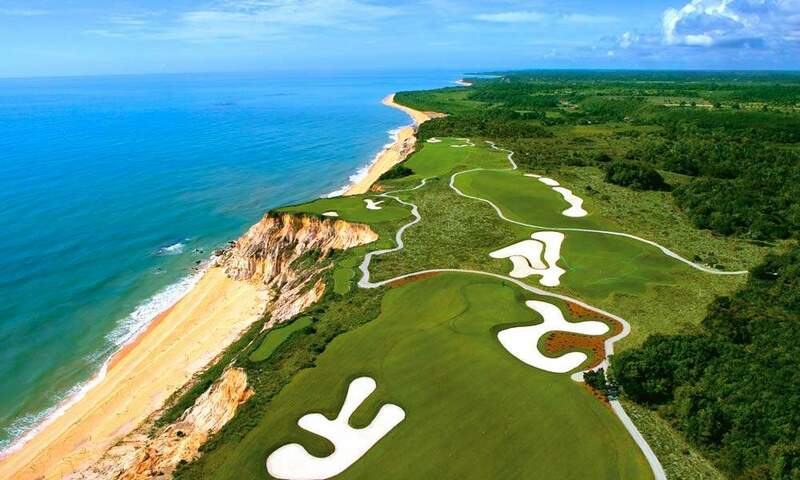 The front nine holes are routed through an Atlantic rainforest environment while the back nine holes are played closer to the coast, with four holes laid out along the edge of the cliffs. 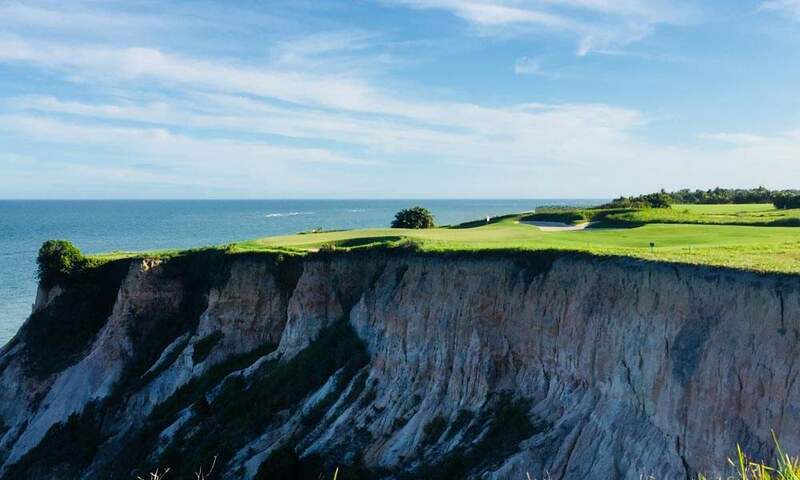 The signature hole is found at hole 14, a much-photographed par three where the green is perched 150 feet above the water’s level. 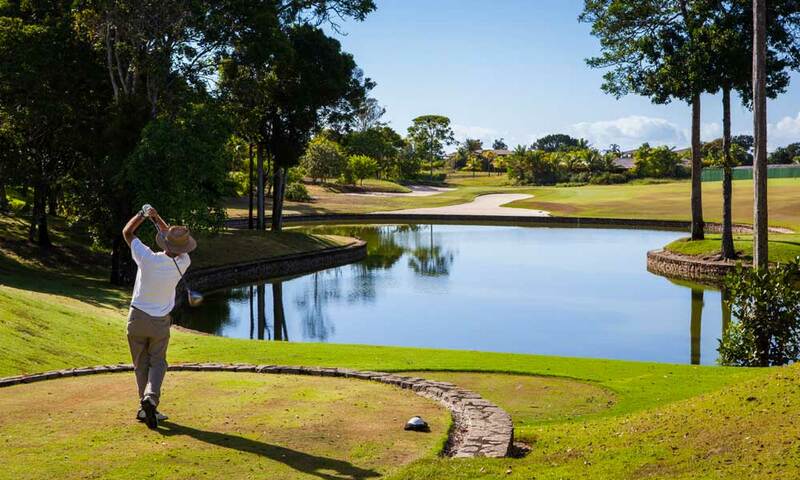 From the tee box, giant sea turtles can be observed swimming in the ocean.